Any signal $x(t)$ can be written as the sum of an even signal and odd signal. where, $x_e(t)$ is the even part and $x_o(t)$ is the odd part. If $x(t)$ is real $\rightarrow X(j\omega)$ is conjugate symmetric. If $x(t)$ is real and even $\rightarrow X(j\omega)$ is real. 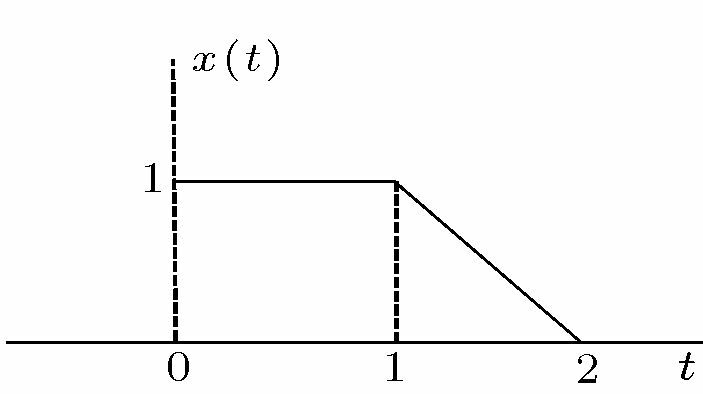 If $x(t)$ is complex, conjugate symmetric $\rightarrow X(j\omega)$ is real. $a(t)=a(-t) \Rightarrow a(t)$ is even. 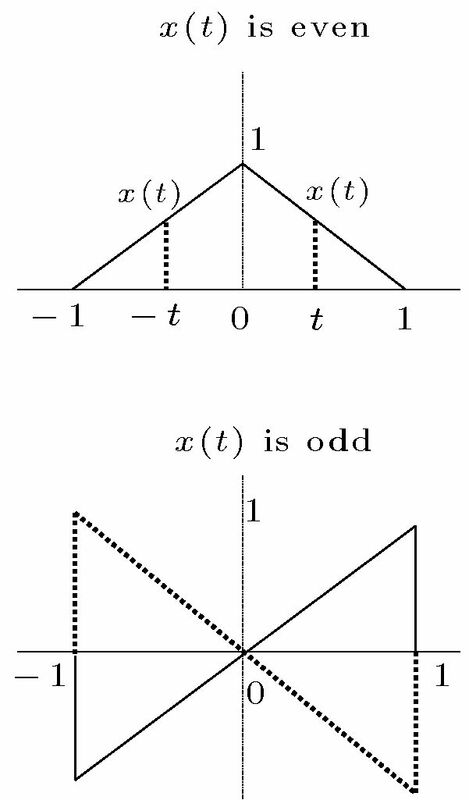 and $b(t)=-b(-t) \Rightarrow b(t)$ is odd. $r(t)=r(-t) \Rightarrow r(t)$ is even. 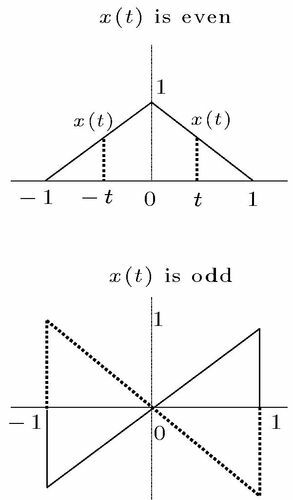 and $\theta(t)=-\theta(-t) \Rightarrow \theta(t)$ is odd.